1 Has anyone ever died in an “eating”contest? Well unless that contest involved some sort of poisonus substance. 2 WTF is fairy cake????? An inquest is to be held on a man who died during a contest to see who could eat the most fairy cakes. The man, thought to be from Birmingham, collapsed at a Swansea nightclub during the event at the end of a party to raise funds for an art exhibition. Police say there are no suspicious circumstances following the incident at the city’s Monkey Cafe and Bar early on Friday. The coroner has been informed and the family have been told. It is believed attempts were made by staff and customers at the nightclub to revive the man. In a statement, club owners Amanda Davey and Paul Dyke said: “We are all devastated by this tragic accident. “We are all in shock. “It was a tragic accident and very sad and should serve as a cautionary tale. Wow, who woulda thunk it? After all those spiffy TV ads it seems Enzyte is full of, well, nothing. Now as a veteran TV watcher, these ads have always fallen under the “truly unbelievable” category. Oh well…. see ya Bob…..
A federal court jury on Friday found the owner of a company that sells “male enhancement” tablets and other herbal supplements guilty of conspiracy to commit mail fraud, bank fraud and money laundering. Steve Warshak, whose conviction was reported Friday by The Cincinnati Enquirer, is founder and president of Berkeley Premium Nutraceuticals, which distributes Enzyte and a number of products alleged to boost energy, manage weight, reduce memory loss and aid restful sleep. Television ads for Enzyte feature “Smiling Bob,” a goofy, grinning man whose life gets much better after he uses the product, which allegedly boosted his sexual performance. To celebrate his weight loss, which he achieved on the NutriSystem diet, “I immediately took my wife out to eat and had everything I’m not supposed to,” says the Blue Collar comedian, whose new big-screen comedy, Witless Protection, opens Friday. These days Larry (real name: Dan Whitney) works out twice a day and travels with a personal trainer while on tour. “I do weights, 50 minutes of cardio and then another 50 minutes of cardio at night,” he says. 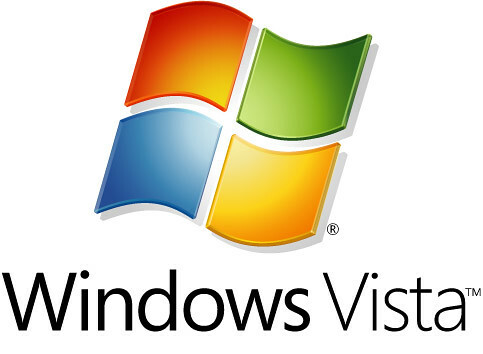 The first reviews of the new Vista Service Pack 1 are starting to come in. To summarize, it takes an hour to install, 3 reboots, doesn’t fix most of the Vista problems AND it slows the PC down. Oh yeah, we have a winner here! Several media outlets — including the Associated Press, Britain’s NME and the Sun-Times — reported early this morning some very exciting news: that Led Zeppelin was finally booked for a stateside gig at the Bonnaroo Music and Arts Festival. Problem is — it’s not happening. The actual band booked for the festival — and trumpeted atop yesterday’s lineup press release — is Lez Zeppelin. That would be the all-female Led Zeppelin tribute band. Rumors had been circulating for months that Led Zeppelin would make its stateside landfall at the Bonnaroo festival. Led Zeppelin guitarist Jimmy Page said last week he was ready to take the iconic band on a world tour after burning up the stage at last month’s reunion concert in London. But he added a tour likely wouldn’t materialize before September. Metallica and Pearl Jam are, indeed, headlining Bonnaroo, tickets for which go on sale Feb. 16 through http://www.bonnaroo.com.